The Brian Kendrick and Akira Tozawa meet in a memorable street fight to try to settle their differences. 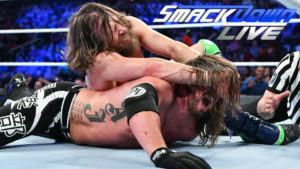 The first SmackDown Live after a Wrestlemania was good. 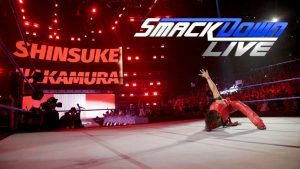 It might not have felt quite as energetic as RAW, but it had quite possibly the best moment of the past few days with the extremely exciting debut of Shinsuke Nakamura! RAW celebrates Halloween with two title matches and a battle royal. 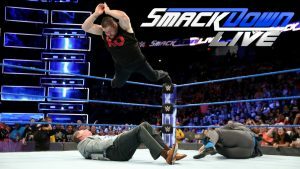 This week’s episode has some good matches highlighted by a crazy, chaotic, violent tag team street fight in the tradition of ECW.